Dr. Minta Hardman is the founding administrator of MVCA. In 1991, under the direction of the elders and evangelists of the Church of Christ at Mountain View, she helped to begin the school. Minta has more than 30 years of varied education experience in both public and Christian education. She began her college education at Kentucky Christian College immediately after high school graduation in 1981. In 1983, she married Doug Hardman, the current senior evangelist of the Church of Christ at Mountain View. She then completed her Bachelor's of Science degree from Concord College in Elementary Education and K-12 Special Education, with an endorsement in Learning Disabilities. While teaching in the public sector, she completed her Masters of Science degree in Emotional Disturbances from Radford University. Minta had 6 years of teaching experience in Special Education classes prior to moving to Winchester and bringing her expertise and passion to the Christian school sector. Minta is committed to life-long learning and completed her doctorate in Educational Leadership from Columbia International University in 2010. At MVCA, Minta enjoys her administrative duties, but also loves to teach and keep connected with the students. She and Doug are the proud parents of two beautiful Christian daughters. Mrs. Heather Harbin was born and raised in Indianapolis, Indiana and Kissimmee, Florida. She graduated from Johnson Bible College (now Johnson University) with a B.S. in Bible and Interdisciplinary Studies and a M.A. in Holistic Education. She has her Ed.S. in Educational Leadership is currently working on obtaining her Ed.D. in Curriculum and Instruction from Liberty University. Heather has taught in public schools in both Tennessee and Indiana with experience teaching kindergarten, 1st, 5th, and Title I Reading to 1st -6th grades. She is also the varsity volleyball coach and assistant basketball coach. She lives in Winchester with her husband, Michael, who also teaches at MVCA and daughter, Zoe, a student at MVCA. Heather loves the family atmosphere at MVCA and enjoys the relationships she has formed with her co-workers, her students, and their families. Mr. Gary Bordelon, originally from Georgia, came to MVCA in 2014 after years of church ministry administration at churches in Indiana and Florida. Gary completed his undergraduate degree at Atlanta Christian College (now Point University). He completed his M.Div in Education at Cincinnati Bible College (now Cincinnati Christian University). In addition to his administrative responsibilities, Gary also teaches secondary classes and coaches the cross country teams. Outside of school, Gary enjoys golfing, reading, and organizing his extensive sports card collection. Mrs. Teresa Sederstrom was born in the Appalachian Mountains of North Carolina and spent most of her schooling in Maryland. She grew up as a “believer” but didn’t make her commitment to Christ until age 22, and then went to Eastern Christian College where she received her B.A. She is married to Tom, who has played various roles in the athletic program at MVCA. Her son, Daniel, graduated from MVCA in 2011 and her daughter, Sarah, graduated in 2013 and is at Johnson University to become a teacher. She also has two wonderful “bonus” children in Arizona and gorgeous grandchildren! She began here originally in 2000, teaching 1st grade for five years and upon returning has taught 3rd and 4th. She also serves as the Elementary Assistant Administrator. On the weekends, she loves to travel to spend time with her family. Mrs. Trudy Keiter, a graduate of Shepherd College, is beginning her 21st year at MVCA. She came to school with her oldest son as a proctor for the video school, returned to college to complete her education, and has been at Mountain View ever since. She has run three half-marathons and one marathon and is the assistant cross country coach. She plays the piano in the praise band at the Church of Christ at Mountain View and directs the adult choir. She has been married to her husband Wayne for 37 years. 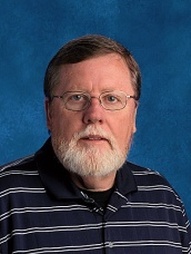 He is an elder at the Church of Christ at Mountain View and a member of the school leadership team. They have two sons (Joshua and Caleb), two daughters-in-law (Kara and Carrie), and six grandchildren (Gwenyth, Will, Mavis, Hisely, Harper, and Kinsley). Trudy also loves to exercise and completed her first marathon (with God's help) at the age of 55! Mrs. Carol Morgan was born and raised in Cincinnati, Ohio. After graduating from Xavier University in 1987 with a B.S. in Elementary Education and Special Education, she began teaching in a Christian school in Harrison, Ohio. Carol came to MVCA in 1999. In directing her path here to MVCA, God has led her through a variety of teaching experiences. All of these experiences have equipped her to serve Him here at MVCA as the kindergarten teacher and the learning resource coordinator. She and her husband Roger are the parents of two sons, Dale and Joshua, both of whom are MVCA graduates. Carol enjoys teaching at MVCA because she has the freedom to teach the whole truth about Creation and the value of the individual. Outside of MVCA, Carol interprets in sign language and works with the deaf community. She also loves to geocache with family and friends!